While the name of this site is Art of Proofreading, it’s also about the art of copyediting. I’ve always believed that if you can learn proofreading, then you can put in a bit more effort and learn copyediting skills. Doing so will allow you to grow your business, attract more clients, and make more money. 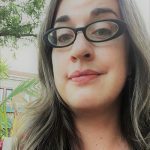 In this guest post, my longtime friend and fellow editor, Shannon Whibbs, writes about what you’ll need to do to start copyediting. Copyediting is a skill needed for all forms of professional publications, from complicated textbooks and literary novels to newsletters and junk mail. Have you immediately distrusted a business or news source because you saw errors in spelling and grammar? You’re not alone. Copyediting gives communications the professional finish they need in order to reach their intended audience. However, it’s not recommended you advertise yourself as a copy editor unless you have some background experience in proofreading and have received some training in the form of copyediting courses. Clients and organizations look for this kind of training when looking to hire copy editors. Wait a minute, what’s the actual difference between copyediting and proofreading? Copyediting is usually considered Next Level proofreading. In many communications fields, text is copyedited BEFORE it is proofread. The copy editor is often working with more raw text and needs more than just technical knowledge to correct the copy. If you compare it to baking, proofreading is cleaning up the messy crumbs, but copyediting is making sure all the ingredients were mixed into the cake before it went in the oven. The next five points will outline some of the key skills you need to master in order to learn copyediting. Do you need a refresher on proofreading? Sign up for our free 5-day intro course, Proofreading 101! Being a great copy editor can feel like being Robocop or an android who can scan a page and pick out mistakes in seconds. But at the same time you’re taking in the nuances of the sentence and context (particularly where fiction is concerned). Copyediting is about working with the creativity of the work while also making it correct. It can be a delicate dance to perform. House style can be many things. For a professional publisher, it’s a very specific set of rules and standards for language, style, and grammar, so all of the books they publish are copyedited in a consistent way. But it can also be as simple as a request for American spelling over British or Canadian (which means you need a different dictionary). A freelance copy editor might be juggling up to five different house styles at a time, depending on the kinds of clients they attract. Not only will you need to use different dictionaries, you will also need to have at least some basic knowledge of different style guides. A style guide is a book that has a very specific set of rules for everything related to language, from grammar, to spelling, citations, punctuation, and even how to treat numbers. There are several, including the Chicago Manual of Style. 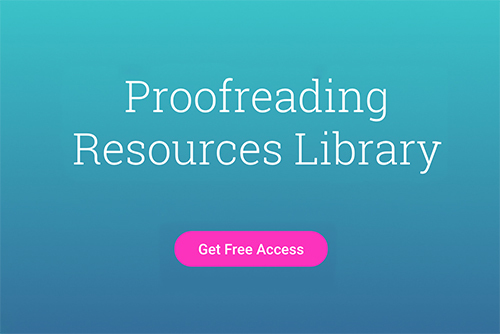 If you’re ready to learn proofreading and copyediting, we’ve got a course for you! Click here to see the details. On top of all of this, you also may be required to create a style sheet — for the proofreader! A style sheet is a document you create where you identify everything from special spellings to number styles, rules, and proper names and places This saves the proofreader a lot of time in looking up things that you have already looked up during your copyedit. Very often, a copy editor is the first person to see a writing project outside of the author’s family and friends. It can be an important relationship. You also have to be flexible within your client’s needs and technological abilities. If they’re older, they may not be familiar with certain ways of transmitting edits and files back and forth. If they’re younger, you may not be familiar with their ways! Find a way that works for both of you. But the priority is always the comfort level of your client. If I learn copyediting, what kind of material can I work on? Almost anything, really. Though this is where your personal preferences and education can come into play. If you studied business, then copyediting business materials could be a great fit. Likewise for other specialized areas of interest. A copy editor is at their strongest when they are able to fully grasp the material in order to make the necessary corrections for clarity and ease of read. Books – Don’t expect to jump into copyediting professionally published books right away, but the self-publishing market is growing all the time, and I guarantee you know at least five people who are writing, or want to write, a book. Communications materials – This includes corporate newsletters, magazines, product manuals, PR material, and anything a company produces to communicate inside and outside of the organization. Articles – Any kind, for print magazines and websites. Local newspapers – Local papers are committed to high journalistic standards. Double up your skills as a proofreader and copy editor. Click here to read our post about what it takes to be a pro proofreader. PreviousPrevious post:What It Takes To Be A Professional ProofreaderNextNext post:Can You Learn Copyediting? I would really like to thank you for sharing such amazing and knowledgeable content with us. The whole blog has so many important points for doing better proofreading. Proofreading is nothing but cleaning up messy and inappropriate content in a document. Thanks for sharing such a knowledgeable content with us. Proofreading is like reading the document or the proof to rectify the errors and making the proof correct for the client. The point “Being flexible to meet your Author/Client’s needs” is the most important while proofreading. “If you compare it to baking, proofreading is cleaning up the messy crumbs, but copyediting is making sure all the ingredients were mixed into the cake before it went in the oven.” Love! Great article. It’s great, isn’t it? Shannon definitely has a way with words!